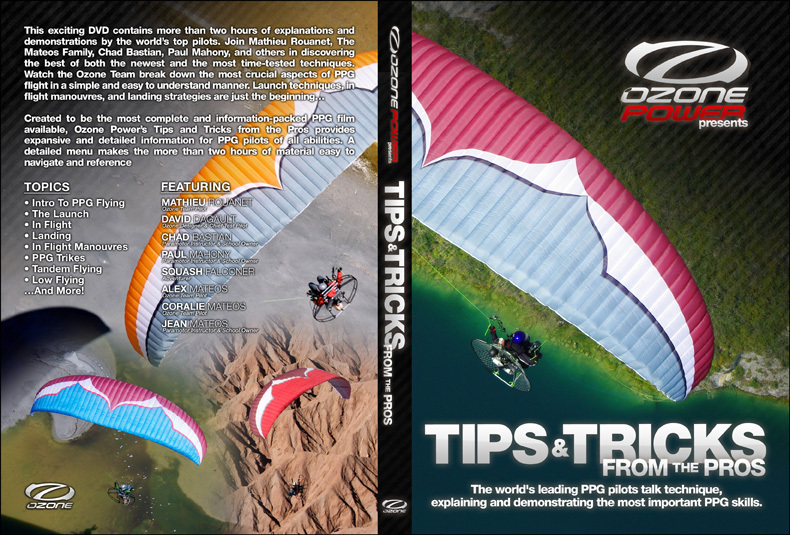 This DVD is, we think, possibly one of the most information-packed PPG DVDs ever created and we are excited to get it out there into the hands of pilots around the world. The length is over 2hrs, mostly informational but with some action footage mixed in. With Pro Pilots: Mathieu Rouanet, Alex Coralie and Jean Mateos, Chad Bastian, Paul Mahony, and guest starring the lovely Squash Falconer. Thus, some of the world's most experienced PPG pilots talk about everything from engine maintenance tips, to launching more efficiently in high wind and zero wind, and maneuvering your PPG wing in the air more effectively. This DVD contains a large amount of information, but thanks to an extensive menu, it is simple to navigate from topic to topic, and action footage from around the globe will keep you on the edge of your seat even if you do tire of learning for a moment. Available in NTSC format only. 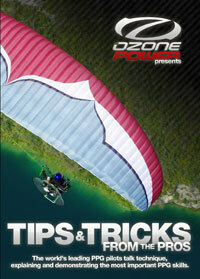 This is an excellent DVD for anyone considering Crossing Over from Paragliding to Paramotoring!